An anonymous reader alerted me to a news story that features polymers in a novel use, but at the same time, not in a good light. The pink T-beams and the blue upper deck are all polymeric. I don't have all the details but the material is an FRP, fiber reinforced polymer. Almost immediately after installation, the surface started to fail. Which led to complaints. A blame. And fingerpointing. And the inevitable lawsuits. A recent article in the Portland Mercury goes into great length about the fingerpointing and the there are plenty of fingers everywhere you look. There is: Conway Construction, who designed the leafs; ZellComp, who sold the decking; Strongwell, who made the decking and Hardesty & Hanover, who designed the decking. The article is pretty well done in general and has some pretty dramatic video showing how the decking has failed in certain spots at the top of the T-beams. The bridge was in no danger of collapse, but failure of the decking could lead to car damage and accidents. The article fell short however, when it comes to one technical detail, maybe one that was crucial to the jury: the difference between a crack and a craze. "But there was a more apparent problem with the decking, once it arrived in Portland: It was already cracked....The argument Strongwell and ZellComp would wind up making—to county officials and in court papers—is that the cracks weren't important. To this day, they don't even call them 'cracks' if they can help it. To the companies, the distressing-looking seams were something called 'crazes,' harmless irregularities that sometimes show up in the type of polymer used on the Morrison." So to suggest that the suppliers are being nefarious for not using the word 'crack' is really not appropriate. The lawsuit was recently decided by a jury. They found Zellcomp, the County, Hardesty & Hanover and Conway Construction to be negligible to varying degrees, but not Strongwell. I don't know why Strongwell was not found as a contributor. 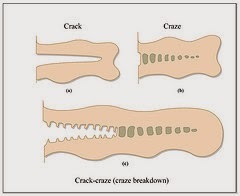 Maybe the whole crack/craze difference was a factor? The county is in a pickle now however. Because of the fundamental design of the bridge, they have to still work with lightweight leafs. Which means they are still considering polymeric materials. And since these are new materials, the number of suppliers is very limited. In fact, they are limited to ZellComp and Strongwell. Maybe it's time to blow up the bridge and start with a design that is without such constraints? March 18, 2009 - So you want to win an race of Epic proportions?